Today 9th May 2015 is a great memorable day for Indian citizen, Prime Minister of India Narendra Modi has launched 2 social security Pradhan Mantri Suraksha Bima Yojana and a Pension scheme at a nominal cost. This is an universal social security for all Indians. Pradhan Mantri Suraksha Bima Yojana – a accidental insurance worth Rs. 2 Lacs at just premium of Rs. 12/- per year of age between 18-70 years. Pradhan Mantri Jeevan Jyoti Bima Yojana – a life insurance worth Rs. 2 Lacs at just premium of Rs. 330/- per year of age between 18-50 years. 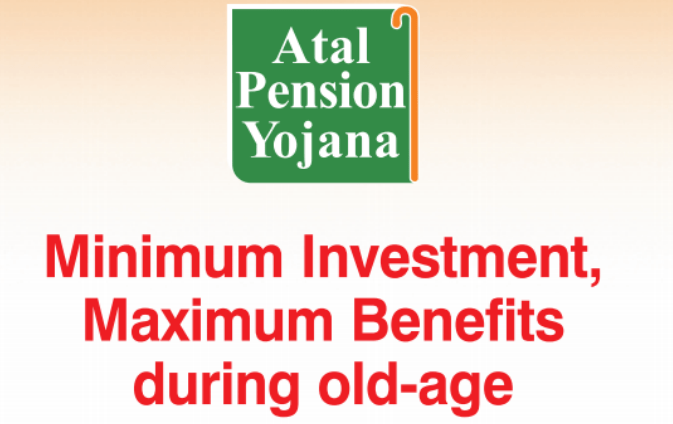 The most lucrative and very welcoming investment scheme is Atal Pension Yojana (APY), Why? 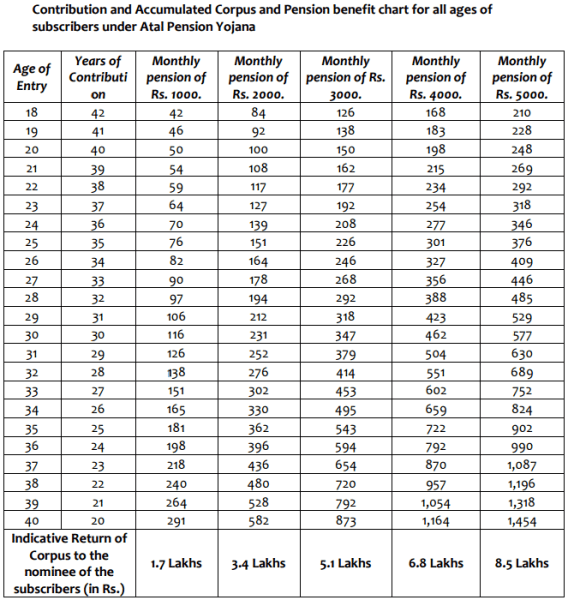 Just look at the Table of contribution levels, fixed minimum monthly pension to subscribers and his spouse and return of corpus to nominees of subscribers and the contribution period is given below. For example, to get a fixed monthly pension of Rs. 1,000 per month and Rs. 5,000 per month, the subscriber has to contribute on monthly basis between Rs. 42 and Rs. 210, if he joins at the age of 18 years. For the same fixed pension levels, the contribution would range between Rs. 291 and Rs. 1,454, if the subscriber joins at the age of 40 years.